WASHINGTON : Ron Gonen, the deputy Commissioner for recycling and sustainability has an herculean task of doubling the recycling rate of the city by 2017. What progress the City has made and what challenges are awaiting the recycling industry going ahead? New York City proposes two new programs that are being launched, providing source-separated organic collection in New York City public schools as well as launching a pilot curbside organics collection program. The program will be launched in April at a neighborhood in Staten Island, and later on all of the boroughs will also be part of the program. A pilot program with high-rise organics collection is to be launched in March. Manhattan will host the first building to participate in it. The expansion program will continue for full 2 years. 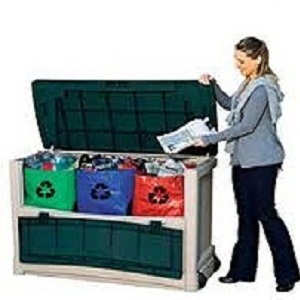 New York City had recently launched a program called Refashion NYC where any multi-family building in New York City can request a special textiles container for the building. The residents can put all their textiles into that container and when it’s full they just have to call authorities who will come and collect the textiles for recycling. It is estimated that over 220 buildings have signed up so far this year and over 800,000 pounds of textiles waste were collected. A recycling program similar to that of textiles would be implemented for e-waste recycling as well. The partner for the program will be announced soon. Hopefully, by the summer, New York City will be offering both curbside textile collection as well as curbside e-waste collection for multi-family and high-rise buildings. The distinct types of building stock are the main challenge faced by the recycling industry in New York City. The city has high-rise buildings, many of them being some of the tallest buildings in the world. The City also has multi-family buildings, row homes/brownstones and single-family homes. The administration plans to put a recycling container on almost every single New York City street corner with a lot of walking traffic and street traffic. The intention is to put out an additional thousand containers over the next year and then continue to increase from there as necessary.